Supplementary cementing materials (SCMs), such as fly ash, slag, silica fume, and natural pozzolans, make a significant difference to the properties of concrete but are rarely understood in any detail. SCMs can influence the mechanical properties of concrete and improve its durability in aggressive environments. Supplementary Cementing Materials in Concrete covers the chemical, physical, and mineralogical properties of SCMs; their chemical reactions; and the resulting changes in the microstructure of concrete. The author links the properties of the material at the microstructural level with its behavior in laboratory tests, and, in turn, to the performance of the material in concrete structures under field exposure. He explains how SCMs influence the mechanical properties of concrete and improve its durability and also covers how various SCMs influence hydration reactions and the evolution of the pore structure and pore-solution composition. However, SCMs are not a panacea for concrete and improper use may be injurious to certain properties. Achieving the maximum benefit from SCMs requires an understanding of the materials and how they impact concrete properties under various conditions. 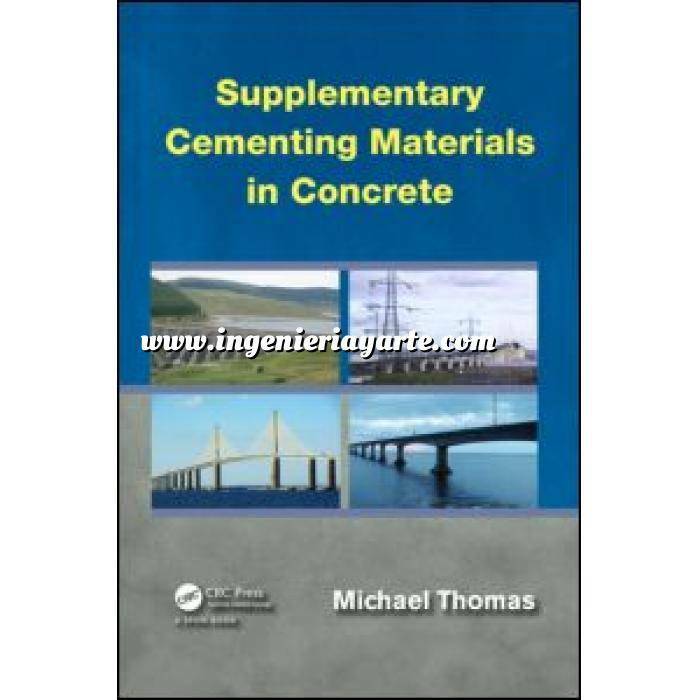 Drawing on the author’s 30 years of experience, this book helps engineers and practitioners to optimize the use of supplementary cementing materials to improve concrete performance.